There was a time when the restaurant owner/operator was the center of the hospitality universe. When a guest thought about a particular restaurant – the connection was with the person who shook their hand upon arrival, made sure that their meal was perfect, orchestrated the service experience, and always remembered something about each and every person who walked through the door. In the not too distant past the most famous restaurants in America were an extension of the owner/operator who had a vision of hospitality and who was driven by a different experience where food was certainly important, but the care with which each guest was addressed and cared for was paramount. To many who may read this article – these restaurants may seem a far too distant stab at the past and not in tune with current times, but the fact remains – they helped to define the restaurant business in America and set the stage for the more modern chef/restaurateur. The restaurant industry grew up quickly in Americas’ urban hubs from coast to coast. It was New York City, Boston, Chicago, New Orleans, Miami, San Francisco, and Los Angeles that defined the landscape for classic cooking and prominent restaurants, but America, as a whole, was becoming more and more interested and dependent on the restaurant experience. Restaurants in New York such as Gallagher’s under Jerome Brody, the 21Club operated by Jack Kriendler and Charlie Bern, The Waldorf Astoria restaurants directed by Oscar Tschirky, The Rainbow Room directed by Joe Baum (later a founder of Restaurant Associates) Lombardi’s pizzeria (The first in America) with Gennaro Lombardi at the wood fired oven, the Grand Central Oyster Bar, Mama Leone’s in the theater district, Luchow’s, Lutece in the able hands of Andre Soltner, and the Original Palm Restaurant under Walter Ganzi, Sr. and later his son established the restaurant business as a legitimate, important, and successful venture. Each, in its own way, helped to define American hospitality long before chefs became the centerpiece of interest. It was the restaurateur, the owner/operator who was the reason why people came. Sure the food was good, but it was the hub of activity and the personal touch that brought patrons back time and again. In other parts of the country – the same phenomena was taking place. In Boston the accolades fell to Durgin Park, Anthony’s under the masterful touch of Anthony Athanas, and The Union Oyster House – the oldest continuous operating restaurant in the U.S. In Chicago it was Berghoff’s operated by Herman Berghoff, and Morton’s Steak House in the hands of Arnie Morton. In New Orleans (The Big Easy) people flocked to Antoine’s, Broussard’s, Arnaud’s, and Commander’s Palace (the training ground for some of the most influential Cajun/Creole Chefs in history), and the west coast enjoyed the growing influence of restaurants like Tadich Grill, The Cliff House, The Brown Derby and Chasen’s that attracted some of the most influential people of the era. 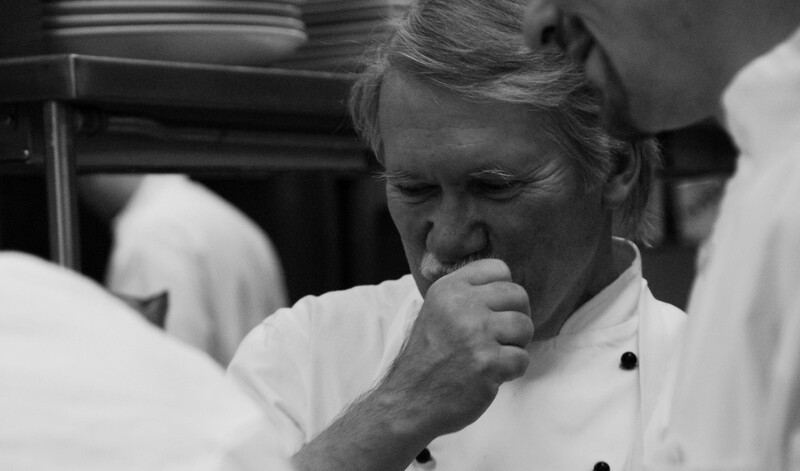 To any serious cook – understanding the history of the profession is interesting and important. Knowing the people involved and how they approached the task of building a product, service method, and brand is the foundation of understanding what is needed to be successful today. Although chefs are now the central figure in many restaurants it is noteworthy to consider what these talented individuals tend to lack in building the kind of loyalty that was present for many decades before. There are still examples of extraordinary restaurateurs who understand the balance between product and service and the dynamic of customer relationships, but more and more they seem to come in a distant second place to the splash of a marketing plan or the sizzle of a celebrity chef. We can still relish the exceptional examples of Drew Nieporent from Myriad Restaurant group that operates Tribeca Bar and Grill, and Nobu in New York; Danny Meyer who is unsurpassed in his handle on the right mix and the importance of guest interaction (his company – Union Square Group operates landmark restaurants such as Gramercy Tavern, The Modern, Union Square Café, and the Shake Shack chain); and Richard Melman of Lettuce Entertain You who is a master of themed restaurants with well over 50 operations mostly in Chicago. We are inspired by the chef/restaurateur who understands the front and the back of the house – people such as Thomas Keller, Lidia and Joe Bastianich, Daniel Boulud, and Jean Georges and we appreciate those chef/restaurateurs who are smart enough to stick with that one operation where they can have their fingers in every detail of the business – people like Alfred Portale, Daniel Humm, and Eric Ripert; but we must also realize that in their success lies an appreciation for and an understanding of the style and commitment of those who came before. When we lose sight of the importance of that personality, the individual who personifies what the restaurant is about then the experience is relegated to a process of exchanging money for food. As valuable as chain concepts are – they do lack that personality that defined the restaurant business just a few decades ago. Anthony Athanas was the clear operator of Anthony’s Restaurant for many decades and as such became the person that every guest expected to see. Even in his late 80’s when his physical nature found it difficult to actually run the restaurant – he still had a table in the restaurant where people could greet him and feel like they were under his guiding hand. When any budding restaurateur is contemplating what it takes to be successful it might be wise to look to the past and learn from those who defined the restaurant business. As important as the food is to a restaurant’s success, it is only part of the formula. As important as the chef is to the success of a restaurant, he or she is only one player in defining the restaurant experience. That all important personality, the person with the extended hand and a big smile, the individual who remembers a guests name, favorite table, and preferred bottle of wine is the reason why guests return time and again. A great chef without a great front of the house personality is treading water in a fast running stream. A restaurant needs a person to identify with, a person who is there in the public eye and who is ready, willing and able to make a guest experience one to remember. The roles may have flipped in recent years, but those restaurants that excel are the ones that view the front and back of the house as equally important. We need to praise the restaurateur, reinvigorate his or her importance, and celebrate the time when he or she is once again viewed as essential.